High carbon steel blade for lasting sharpness. Shock absorbers, non-slip sort grips. 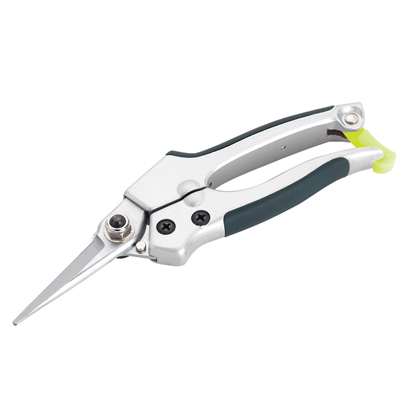 Suitable for cutting most kinds of flowers and fruit stems, dead heading. Comfortable, soft feel handle sections. Locking catch. Maximum cut 1/4" diameter. 7" overall, Blade 2 3/8"
These are my second pair of garden snips. Loved the first pair so much! My husband and I both wanted to use them at the same time, so we needed another pair. These work great for trimming all my flowers and small pruning.